For the first time in its 37-year history, Pride of Britain Hotels has reached its self-imposed limit of 50 hotels, with the introduction of The Royal Crescent Hotel & Spa, Bath, into its collection of luxury independently-owned hotels. The AA five red star property enjoys a privileged position in Royal Crescent, an iconic example of Georgian architecture, just moments from the historic centre of Bath. 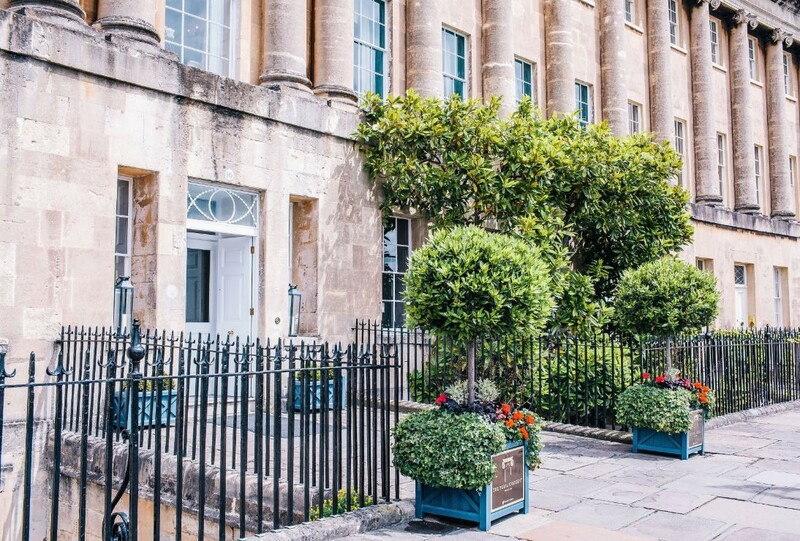 Each of the 45 individually-designed bedrooms and suites features spectacular views of either Royal Crescent lawns or the hotel’s secluded gardens. Located in the grounds, The Garden Villa is a prestigious private residence with two luxury suites, two Deluxe Rooms and a private south-facing walled garden. The three-AA Rosette Dower House Restaurant has stunning garden views and offers al fresco dining throughout the summer months. Overseen by Executive Head Chef David Campbell, the restaurant serves an innovative tasting menu alongside à la carte options, with dishes such as Barbecued lamb rump and braised neck with wild garlic aioli, cucumber and caraway goat’s curd and Blood orange tart, poached rhubarb and ginger ice cream. The Montagu Bar & Champagne Lounge offers an all-day menu of main meals and light bites, alongside signature cocktails and Taittinger Champagne. The Spa & Bath House, located in the hotel’s extensive grounds, is a haven of calm and indulgence, featuring a 12-metre heated relaxation pool, vitality pool with massage jets, Himalayan salt-infused sauna, herbal steam inhalation room and fitness studio. There are six treatment rooms, offering a range of rejuvenating therapies by Elemental Herbology, as well as manicures and pedicures by Jessica Nails. Relaxation continues outside in the Taittinger Spa Garden, which offers a nutritious menu of dishes including gazpacho and a superfood salad, plus an indulgent afternoon tea. An impressive collection of artwork adorns the hotel and its one-acre gardens, created by an eclectic mix of world-renowned artists and local artisans. Wedding ceremonies can be hosted in The Wedding Garden, separated from the main grounds by honeysuckle and rose-covered stone walls. Exclusive hire of the property in its entirety is also possible. As the 50th member of Pride of Britain Hotels, The Royal Crescent Hotel & Spa joins an established collection of some of the finest hotels across the UK, from historic castles to boutique boltholes, each of which is dedicated to providing the finest hospitality to its guests. The self-imposed limit ensures that each member is of the finest quality and maintains the exclusivity of the group. An overnight stay at The Royal Crescent Hotel & Spa costs from £264 per room total/ £132 pp* (two sharing), including full English breakfast. To book, call Pride of Britain Hotels on 0800 089 3929 (www.prideofbritainhotels.com). *Pride of Britain Hotels’ Best Rate Guarantee ensures the lowest available rates at each member hotel. Should a lower rate be publicly available online, within 24 hours of booking, for the same date(s) and with the same terms and conditions, the member hotel will be pleased to honour the lower rate.